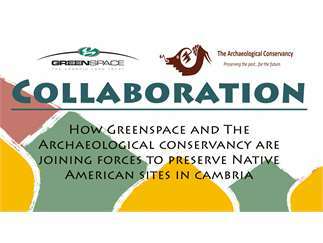 Greenspace will be hosting Cory Wilkins of the Archaeological Conservancy for an educational presentation kicking off the campaign to raise funds to maintain current and acquire new Native American cultural heritage sites in Cambria. give us insight into the past lives of the nearly 30,000 Native Americans who once called this area home. Cory Wilkins will be here to shed light on Greenspace and the Archaeological Conservancy's joint efforts to protect these heritage sites as well as what you can do to help! Cost: There is a suggested donation of $10 at the door. All proceeds will go to the campaign to preserve these sites.